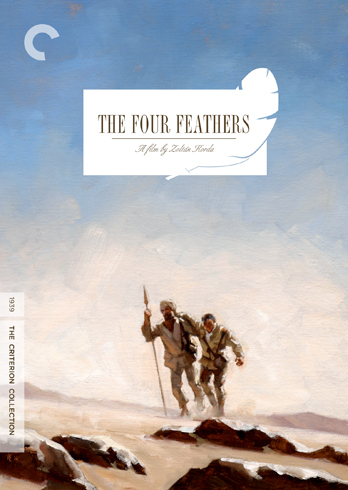 Zoltán Korda's 1939 epic The Four Feathers is an entertaining anachronism. It's a war picture that celebrates colonialism, that decries cowardice and glorifies reckless valor. It uses outdated terminology to describe the opposition, yet except for a couple of very small scenes, manages to avoid draping the face of caricature over the Arab masses. The Brits are racist, but strangely, for the most part, the film is not. It's also a lot of fun, and despite a slow start, genuinely rousing as the combat heats up. It starts in the 1880s when Islamic rebels reclaim the Sudan and take Khartoum from the English, killing one of their generals. This is seen as a terrible disgrace amongst the old guard who fought to grab the region originally. General Faversham (Allan Jeayes), General Burroughs (June Duprez), and Dr. Sutton (Frederick Culley) all have white hair now, but at one time, they made blood run red. General Faversham in particular has concern for his young son Harry (Clive Baxter initially), who prefers reading the poems of Shelley to hearing his doddering father's anecdotes about war. Power cut ten years ahead, and the British are finally ready to take back their foothold in Egypt. General Haversham is dead, and Harry is grown up and an army officer. Played now by John Clements (At Dawn We Die), he is in the same regiment as Burroughs' son Peter (Donald Gray) and also engaged to his daughter Ethne (June Duprez). 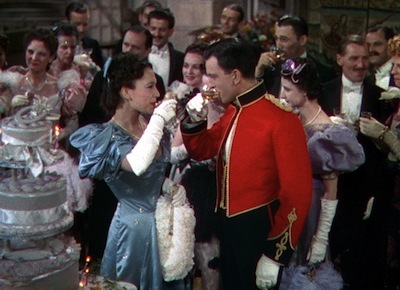 Ethne has chosen him over his comrade John (Ralph Richardson, The Fallen Idol [review]), seeing something more appealing in the dark, brooding gentleman than the stiff-upper-lip type that John represents. It's a pretty tangled social clique, but important groundwork for the adventure to follow. As the boys are about to ship out, Harry decides he'd rather not go and resigns his post. John, Peter, and their other friend Willoughby (Jack Allen) all feel betrayed, and they send Harry a package with a single white feather from each of them. It's an old custom, basically throwing down a gauntlet and calling Harry a coward. The fourth feather comes from Ethne, who doubts Harry's true motivations for bailing on his duty. Harry doubts these things himself, and to earn the right to return the feathers to their original owners and free himself from their stigma, he travels to Egypt. Since he's no longer in the army, he infiltrates a group of ethnic outcasts and poses as an Arab, slipping unnoticed into the battlefield. Once in the desert, he finds his old pals and saves them from trouble, at first anonymously but eventually revealing his identity as the situations grow more hairy. The Four Feathers was based on a book by A.E.W. Mason. 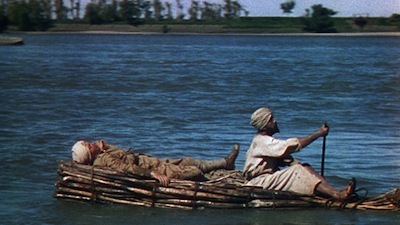 Though popular enough to spawn multiple film versions--the Korda boys made the fourth--I had never heard of it prior to a remake with Kate Hudson and Heath Ledger a few years back (which I never saw). While Zoltán's adaptation, which was written by R.C. Sherriff (That Hamilton Woman [review]), makes me curious to see how other filmmakers might have handled it, were I to never see any of the other versions, I'd be totally happy. I found this Four Feathers to be an engrossing piece of cinema, full of drama, interesting characters, and exciting battles. 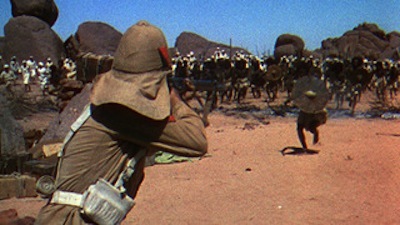 Zoltán Korda stages large combat scenes on open desert plains, using the elements as an additional weapon, almost as if the land itself were trying to get rid of all human invaders. The situation with John and Harry is particularly memorable, with the bright desert sun doing more damage to John than his enemy ever gets a chance to. Richardson delivers a solid performance, balancing on a fine line when a touch of humor is called for, but careful not to overdo it and undercut the pathos that is essential to his character's fate. Despite the backdrop of war, The Four Feathers is ultimately about loyalty more than it is the far more simplistic cowardice/courage dichotomy. Perhaps that's why it's aged so well, actually. The sense of duty Harry feels is less to his country than it is to his countrymen, and more specifically his friends and the woman he loves. Had the patriotism had more of a rah-rah feel, the colonial aspects would probably be a lot harder to take. What makes Harry so compelling is his desire to prove himself to the people he cares about, and instead of doing it in the way that might be expected (i.e. rejoining the army as a foot soldier or begging his dad's cronies to give him back his ranking), he finds his own way to be a part of the action. It's the more romantic solution, so maybe reading all that Shelley paid off after all! Or perhaps the fact that The Four Feathers was a family affair had some influence on how it all came together. 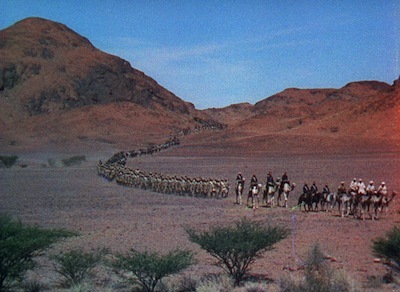 Alexander Korda produced the picture, and Vincent Korda did the marvelous set design, creating a pronounced contrast between the colorful British homes and the harsher conditions of the desert battlefields. Apparently there was some tension between Zoltán and Alexander, and the lingering shots of the insurgency prepping for their raid was representative of the director's more sympathetic viewpoint. Had he not won out, The Four Feathers would have been the kind of jingoist propaganda I feared it might be. A more straightforward war film would have been a lot less interesting. Even on a scale as grand as this one, nuance proves to be everything.